How To Improve Your Indoor Air Quality At Home - Which? As well as buying an air purifier, there are steps you can take to improve the quality of the air in your home. Find out what you can do. The air we breathe can have a significant impact on our health. Find out how you might be unwittingly generating air pollution in your home, and what you can do to improve indoor air quality. We all know that outdoor pollution is a problem, but the chances are you don't worry too much about the quality of the air in your own home. Yet many of the things we do to make our homes more cosy, such as decorating, burning candles, and using air fresheners, can increase our personal exposure to pollutants and contribute significantly to our collective national emissions. And as we spend about 90% of our time indoors, this isn't something we should ignore. If you're elderly or you have a pre-existing health condition, such as asthma, heart disease or Chronic Obstructive Pulmonary Disease (COPD), you're particularly vulnerable to the effects of pollution. Children and young adults are also more at risk, because they have faster breathing rates and their lungs are still developing. 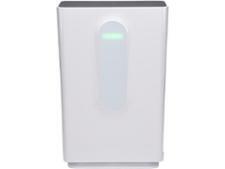 One way of improving air quality at home is by buying an air purifier. Discover the best air purifiers for removing pollution from the air. Or read on for simple steps to improve your home's air quality. Opening your windows regularly is the easiest way of removing polluting particles from the air in your living space. It's especially important to do this in winter, when humidity is high, however tempting it is to keep all windows tightly closed. Be strategic about when you do this. If you live near a busy road, keep the windows closed at peak traffic time. If you suffer from hay fever, don't open your windows in the morning, when the pollen count is highest. Cooking produces grease, smoke, smells and moisture. Switch on your kitchen hood and fans during and after cooking - even if you find them annoyingly noisy - to clear the air of oil and other ingredients that have evaporated into it. This will also limit damage to your walls and kitchen cabinets. If you can, get an extracting cooker hood, sometimes called a vented hood or ducted hood, that sends the air out of your home through the wall or roof, rather than a re-circulating one, that filters the air through a carbon filter and re-circulates it inside your kitchen. If you have a re-circulating hood, make sure you clean and change the filter regularly. An extractor fan can be installed in any room where you want to control humidity, gas or smoke. An extractor fan in your bathroom can pull moist air out of the room, preventing mould spores growing. It can also remove the after-effects of using toiletries and cleaning products. Don’t use unvented appliances (aka vent-free appliances) such as freestanding gas and paraffin heaters. These may sound convenient, as they don't require a vent pipe or chimney, making them easy to install, but they release a number of harmful pollutants into your room. All gas heaters, even when burning properly, produce carbon dioxide (CO2). When carbon dioxide builds up, it results in drowsiness, dizziness and headaches, creating an impression of a 'stuffy' closed house. Avoid blocking or decorating over existing permanent ventilation features, such as air bricks and trickle vents on window, even if you've heard that doing so could help you save on your heating bill. They are there to allow air to circulate naturally when windows and doors are closed. They also allow oxygen in, moderate internal temperatures, reduce the risk of condensation, and prevent pollutants building up inside. Make sure you vacuum often to remove polluting particles. The best vacuum cleaners will pick up twice as much dust as the worst, and they’re much better at stopping particles from leaking back out into your room. It's particularly important to vacuum if you have pets, as pet dander can add to the air pollution in your home. Dogs and cats naturally shed old hair – some twice yearly, some all the time. Pollen can also attach itself to your pet's fur and be carried indoors – not ideal if you're a hay fever sufferer – so you'll want to keep your pet off your soft furniture and bed if you can. When pet hair is trodden into carpets or rugs it can be hard to get out, as it tangles in the carpet fibres. It's much easier to keep hard floors clean than it is carpets. Make sure you vacuum regularly, using a vacuum cleaner that's great at whisking away pet hair. Cylinder or upright - Cylinder vacuum cleaners are useful for stairs and hard-to-reach places, but many struggle with pet hair. Uprights cover large areas of floor more easily, but the brush bar in the floorhead can get tangled easily. Cordless or corded - A cordless vacuum might make quick clear-ups more easy, especially if you opt for one that converts into a handheld. Bagged or bagless – Bagged vacuum cleaners can protect you from contact with pet dander, but you’ll have the ongoing cost of replacement bags. Extra tools - Some come with extra nozzles and tools, which can be good for pet hair. Mini turbo tools with a rotating brush bar can help by picking up fluff in places where you can’t use the main floorhead, such as sofas or stairs. We run our vacuum cleaners through a specific pet hair test. Some - including ones that are great in other respects - really struggle with pet hair, leaving you going over the same spot again and again. Equally, some that are specially designed for pet hair are less effective than "all round" models. Our reviews of the best vacuum cleaners for pet hair will help you find the best. High humidity levels can cause respiratory problems, and provide a perfect breeding ground for mould spores, dust mites, clothes moths, fleas, cockroaches and other nasties. If you've got asthma or a weakened immune system, you should take particular care to keep humidity levels in your home in check. Avoid hanging wet washing indoors. You might not have any other option if you don’t have a tumble dryer or an outdoor clothes line, but, when moisture in the air meets cold surfaces, such as windows and walls, it condenses. If you must dry your washing indoors, open a window so water vapour can escape, or use a dehumidifier and close the windows and doors of that room (otherwise you're making the dehumidifier work even harder). Use a clothes airer rather than hanging your washing directly on the radiator, which can cause condensation (and add to your heating bills, damage the delicate fibres in your clothes - and even be a fire hazard). Set your clothes horse up in the sunniest spot in your home, unless that’s your bedroom. Don’t put damp clothes back in your wardrobe. Getting mould out of a wardrobe can be a nightmare, as you can’t just set to it with bleach and a stiff-bristled brush as you could damage the materials. A dehumidifier can help keep your home's humidity levels in check. Head to our dehumidifier reviews to find out more. If your damp problem is advanced, use our guide to dealing with damp to find out what your options are. When painting, decorating and cleaning, make sure that the room is well ventilated. Chemicals found in everyday products, such as paints, aerosols and cleaning products with limonene and pinene (familiar lemon and pine smells), can emit volatile organic compounds (VOCs). After decorating, wait for paint and solvent smells to subside before using the room again. Reduce your use of scented candles, easily inhaled sprays, aerosols and furniture polish (dust with a damp cloth or electrostatically charged duster instead). If there's an unpleasant odour in your house, track down the source rather than using an air freshener. Exposure to very high levels of VOCs can cause eye, nose and throat irritation, headaches and nausea and, in the long term, damage to the liver, kidneys and central nervous system. Some VOCs are more dangerous than others - for example, terpenes, including limonene and pinene, are considered lower risk than benzene (from petrol and cigarette smoke and, potentially, from paints and solvents), which is considered high risk. Nevertheless, some VOCs (especially terpenes) can combine with ozone from outside air to form gases including formaldehyde. This is a lung irritant that can cause allergic reactions and, at very high levels, be carcinogenic. New flat-pack furniture, lino and carpet, fabrics, bedding, glues and insulation can also release formaldehyde. If you have a wood-burning stove or fire, burn only untreated, fully dried wood. Some types of fuel, such as wet logs and house coal, produce far more particulate matter – the sum of all particles suspended in air, many of which are hazardous – than dry logs and low-sulphur smokeless fuels, such as anthracite coal. When wood doesn't have a good enough supply of oxygen, it creates more smoke and potentially harmful emissions. It also increases sooty build-up in your chimney. Make sure the flue damper is open before you use it. Clean the flue and chimney often so that smoke has a means to escape. Find out more about wood burning stoves and pollution. Keep the fire constant, so that the flue stays at the right temperature. This will help avoid carbon monoxide (CO) coming down the chimney. CO is odourless and can be deadly. But even non-fatal levels can be harmful, particularly for those with impaired or weak lungs. Ensure you have a working CO detector, and that it's positioned correctly. Make sure you can recognise the symptoms of carbon monoxide poisoning. As well as taking the above steps, you could consider an air purifier, particularly if you have allergies or respiratory problems, live near a major road or industrial facility, or you're often exposed to second-hand smoke or odours that you have no control over. 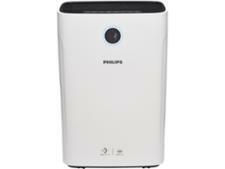 Choose one with a HEPA filter if you want to remove particles such as dust, pet dander and smoke from the air. If you need to remove smells or gaseous pollutants, you'll need one with an activated carbon filter. A HEPA filter won't filter these out, as they only remove particles. We test each air purifier with dust particles, cigarette smoke and pollen, calculate the percentage of particles removed by each air purifier and compare this to the particles that get removed from the air naturally without the machine’s help. The best air purifiers in our tests remove more than 90% of particles. 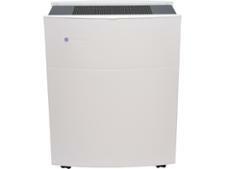 Check out our Best Buy air purifiers.